Do you feel alone in your grief after pregnancy loss? Wherever you’re at in your grief journey, I hope you’ll join me and my team of compassionate volunteers for this free online book club. 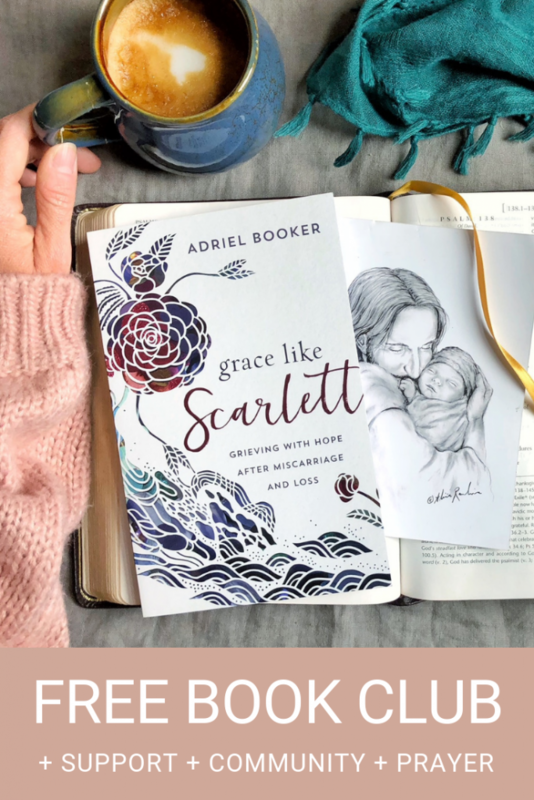 Together we will read through Grace Like Scarlett: Grieving with Hope after Miscarriage and Loss and search for hope and healing within a loving, supportive, Christian community. I believe one of the most important things we can do in order to “grieve with hope” is to do it in community with others. Because everyone grieves… but not everyone grieves with hope. There is something incredibly powerful about vulnerability within the context of a safe community space and relationships. Free to join (and no up-sell at the end!). Book not included—order it or reserve it from your local library now. Weekly interview hosts include: authors, pastors, therapists, ministry leaders, and podcast hosts. 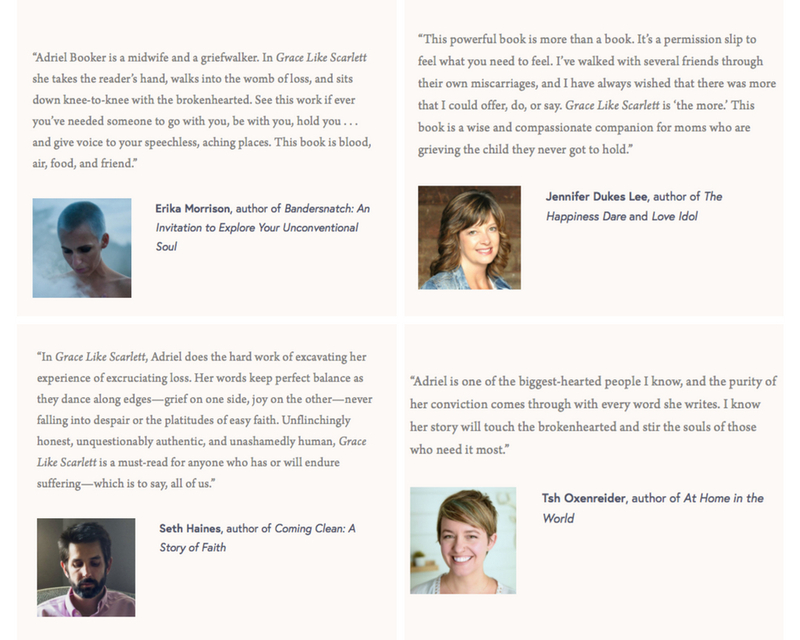 I’ve assembled a team of fabulous Co-Hosts and Community Leaders and you are going to LOVE them. A team of leaders and companions will walk alongside you as you journey through your grief. We believe community is an essential ingredient for grieving with hope. Reserve your spot by emailing “I’m in!” to GLSbookclub@gmail.com. 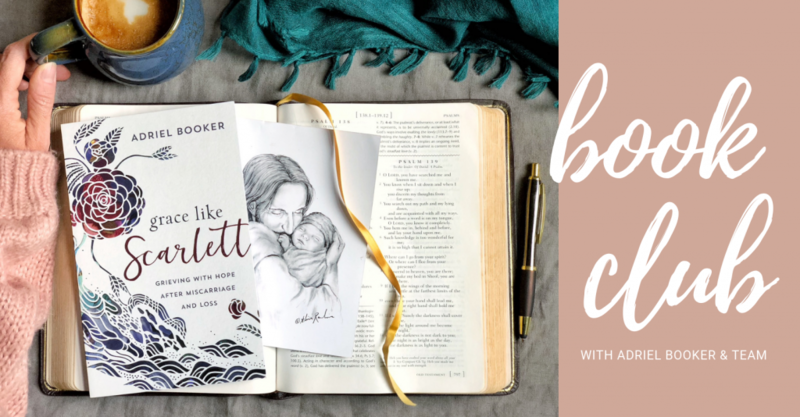 With vulnerability and tenderness, Adriel Booker shares intimate stories about her experiences with miscarriage to help you navigate your own grief and know you aren’t alone. She tackles complex questions about faith, suffering, and God’s will with sensitivity and clarity, devoid of religious clichés or pat answers. 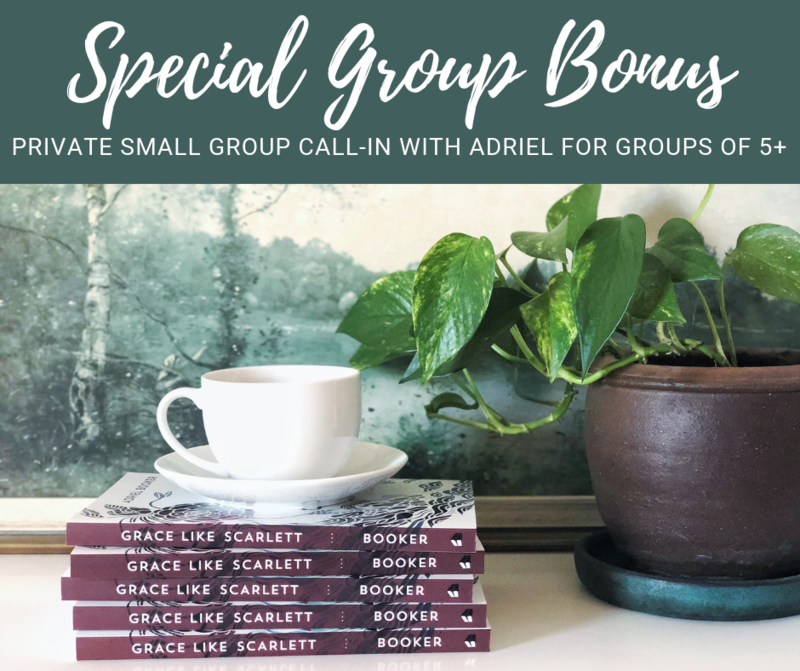 Ultimately, Adriel invites you to a wide-open place of grace, honesty, and genuine hope as you discover a redemption story unfolding in the shadows of your loss. 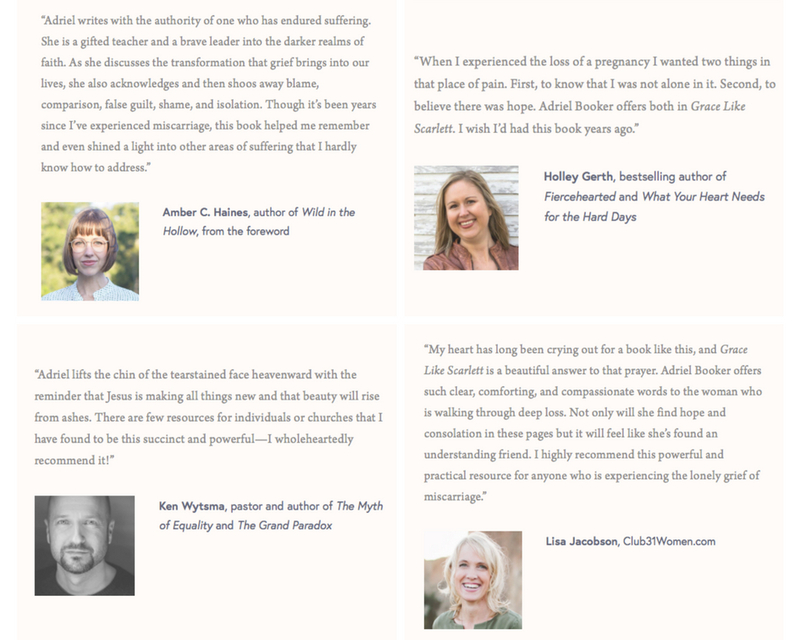 She also includes a practical resource section for ways to help guide children through grief, advice on pregnancy after loss, and special sections for dads and loved ones.